SMPE offer a range of surcharge free starter motors and alternators which are factory tested and come with a 12 month warranty. There is currently over 85% vehicle coverage on the range. Starter Motors - A high torque electric motor used to spin the engine at a speed fast enough to start it. The solenoid that is mounted on the side of the unit acts as a high current switch that engages and activates the motor upon driver demand. Alternators - An engine driven unit that maintains the batteries state of charge. Modern units incorporate a regulating pack that limits that output of the unit to prevent overcharging at high RPM’s. Alternators fitted to diesel engines often drive the brake servo, which may or may not be part of the assembly. Starter Motors - Engine not starting. Clicking noise from under bonnet when attempting to start. Alternators- Sluggish starting when cold. Burning smell from the alternator. Egg/sulphur smell from the battery. Starter Motors -Although no maintenance is generally required it is good practice to check the electrical connection and security of the fixings. Starter motors use a ring gear affixed to the flywheel to turn the engine, it is good practice to inspect this at any time access is available, ie renewing the clutch. Alternators - Careful and regular attention should be made to the drive belt condition and tension; many charging faults can be attributed to belt slip. It is recommended that a new drive belt be fitted when the alternator is renewed. Due to the high output of modern alternators the electrical connections are highly stressed, repair/renew any that become a problem. When servicing units that incorporate a brake servo unit, ensure that any relevant seals are renewed. 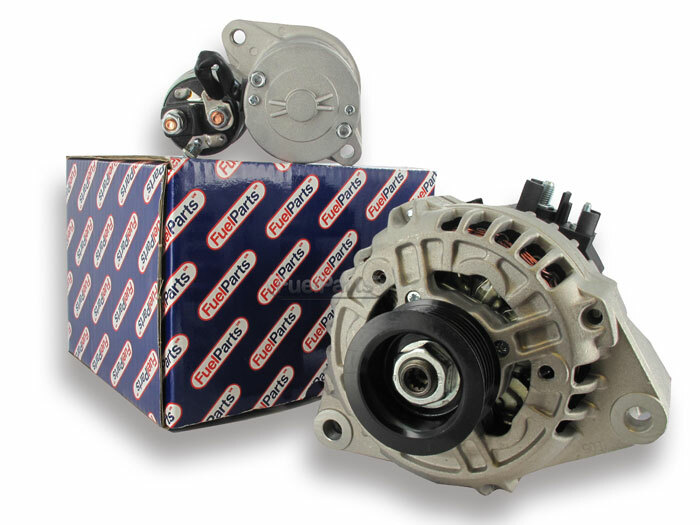 SMPE's starter motors and alternators are available in the Fuel Parts brands.